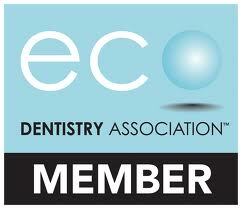 Studio Z Dental, a family-friendly general dental practice led by Dr. Tom Zyvoloski in Louisville, CO, is currently in the process of obtaining their Eco-Dentistry Certification, which will make Studio Z Dental the only general dental practice along the entire Front Range with an Eco-Dentistry membership and certification. Integrating eco-friendly practices for the safety of both the Studio Z Dental team members and clients has long been a core element to Studio Z Dental’s daily dentistry practice. For example, the Studio Z Dental office offers mercury-free dentistry, alongside some of the most up-to-date equipment such as the Swiss IQ Air purification system for mercury-safe silver amalgam filling removal. Studio Z Dental is considered “mercury-safe” (rather than just “mercury-free”), which means they follow the International Academy of Oral Medicine and Toxicology’s (IAOMT) protocols to keep clients from being exposed to high levels of mercury that are released during the silver amalgam filling removal process. This is just one element of their holistic dentistry philosophy intended to keep clients as healthy as they can be. For Studio Z Dental, becoming an eco-friendly dentistry office under the Eco-Dentistry Certification means incorporating even more eco-friendly practices to form a prevention and conservation stance. Specifically, the GreenDOCTM Dental Office Certification Program by the Eco-Dentistry Association (EDA) helps dentistry offices implement such eco-friendly initiatives within their location and community contributions, alongside their daily practices. Eco-Dentistry Certified offices are required to complete a long list of changes from traditional dentistry practices to eco-friendly dentistry practices. This list includes not only patient practices, such as being mercury-free and non-toxic cleaning and sterilization techniques for equipment, but also building codes following LEED guidelines, going paperless in the office, and implementing sustainable energy practices and a recycling program, among other requirements. With Earth Day in mind, Studio Z Dental will be the ONLY general dentist on the entire Front Range who is an Eco-Dentistry member and have an Eco-Dentistry Certification, and ultimately will be completing their PACE Certification as well. Studio Z Dental in Louisville, Colorado is one of the few dentist offices in the Boulder area offering mercury safe holistic dentistry and family, and cosmetic dentistry, including teeth whitening.